In spring, all along California’s Central Coast and throughout Paso Robles Wine Country, the vineyards are starting to come alive. Seemingly overnight, the vineyard managers, crews, and winemakers are back at work (although in reality, they never left). The bare bones of the vines begin to show the green of bud break and soon enough, the canopy will explode and the vines will run wild until the fruit forms. 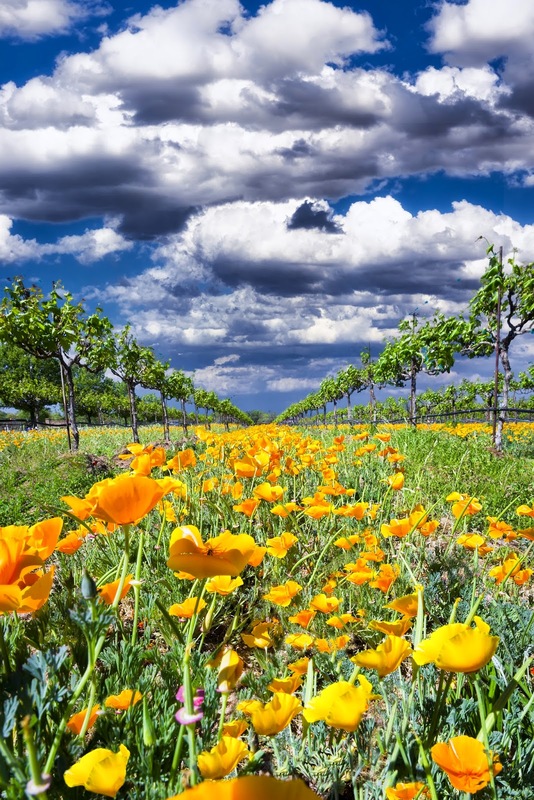 Spring is a busy time of year in the vineyard—good news for Paso Robles Wine Club members who are looking forward to tasting new vintages in the coming years. Cultivating Fertility: After the winter rains, the greenery needs to be mown. This mowing helps cultivate a fertile soil by adding rich nutrients. Building Soil Tilth: For many, this may be a foreign concept, but in the vineyard, building soil tilth is the process of cultivating healthy soil to support root growth as well as making sure there is adequate air filtration so that water can move through the soil and reach the roots. Finally, soil tilth is about establishing and maintaining a healthy soil ecosystem that allows the vines to flourish. Maintaining the Vineyard: Maintenance goes on all year long, but in the spring, the vineyard crew is on high alert for any pests or diseases which could endanger the vines. They’ll also train the shoots for maximum sun exposure, but in general, they won’t pick up their pruning shears until early May.